Home » Global » What’s Transdev’s role in German rail crash? 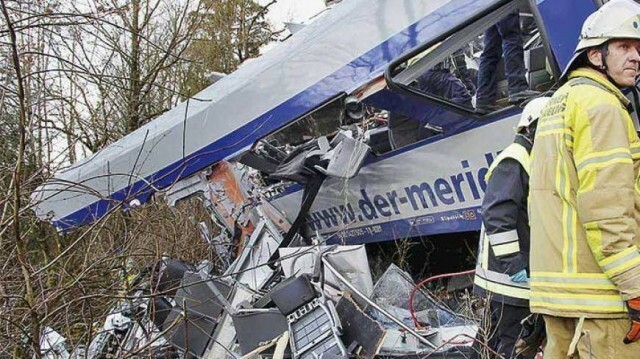 What’s Transdev’s role in German rail crash? A tragic head-on collision of two commuter trains in the German state of Bavaria that killed 10 people — drivers, conductors and passengers — on Feb. 9 and injured many more raised issues that reverberate through Europe and here in the United States. Thirty years ago, people could set their watches by train schedules in Germany, France and Switzerland, where commuter and intercity trains carry the bulk of commuting passengers. Given all the automatic safeguards now, why should an accident occur in which two trains going in opposite directions were using the same track? “Many countries in the region have abandoned government-run monopolies in favor of privately-run rail systems, even as the European Union is spending billions of euros to modernize rail networks. The Times found that leaving drivers alone in the cab — which is the private corporation’s way of increasing profits by employing fewer workers to do the same amount of work — added to the danger. The other point to consider is which private corporation took over the commuter trains in Bavaria. Regular Workers World readers know that Transdev is a French-based transnational that handles bus and rail transportation, often replacing or attempting to replace government-owned utilities. 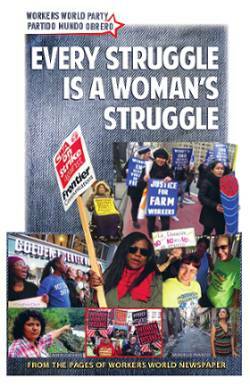 Formerly a subsidiary of Veolia, which is involved globally in privatizing water supplies, Transdev is the company that tried and failed to break United Steelworkers Local 8751, the Boston school bus drivers’ union. It’s also the company that, when part of Veolia, ran an apartheid-like bus line in the occupied West Bank until last August, and had been the legitimate target of Boycott-Divestment-Sanctions activists who support Palestinian rights. Veolia-Transdev’s history is that of taking over transportation and water systems from government-owned enterprises, breaking unions if they existed, and reducing the number of workers to keep increasing profits. They excel in profiteering, not in providing services. Commuters in Bavaria and the unions of railroad workers would do well to investigate the cost-cutting measures that Transdev-Bayerische Oberlandbahn-Meridian put in place, which may have led to the tragedy 35 miles southeast of Munich, Bavaria’s capital.